I have often been called “diva”. There was usually a noun that either preceded or came after the word diva. When I sang secular music, I was called Divalto. In my business career some of my staff referred to me as Mz. Diva. In my younger days amongst very, very close friends only I was referred to as “Divaho”. Now in that group of friends everyone had a “ho” attached to her name. There was Idaho (Ida), Taho (Tanya), Gloho (Gloria), and Sueho (Susan). My nickname however, had nothing to do with my real name. I don’t possess any exceptional beauty, I was not 36x24x36, nor was I an outright flirt. I was told that my name derived my inadvertent ability to “draw folks in”. Not just in the area of sexuality but in every aspect of my life, I radiated “that certain something”. I am now terribly embarrassed by colluding with that type of language and mentality and hate the fact that I allowed it to go on. Although the “diva” was intended as a term of endearment and compliment to me at the time, I now know that for me to allow that “ho” part to be tagged on was ignorant and unacceptable. I can imagine that after reading the above you may determine that I am proud of the “diva” categorization. Well in all honesty, I guess I am. SHOCKED? Well, let me explain what I mean. I admit that initially, I was very uncomfortable with being called a diva anything. Did not like the attention it drew to me. I though people were saying I thought too highly of myself because, believe me I did not, but that is another subject for another time. The reason that I say I am a diva is because the definition fits. The dictionary definition of “diva” is a successful woman, a distinguished woman. For all intents and purposes I do consider the definition an accurate description of who God has permitted me to become. More importantly, I am a Christian woman who is successful and distinguished, in that, I have been set apart by God Himself. When I searched for biblical principles that apply to who I am, I came up with Devout, Inspiring, Virtuous, and Anointed. In fact, I am a DIVaA and I am so very grateful to God for choosing me to represent Him in this fashion. I am blessed to have come from a long line of DIVaAs who set a high standard for me to follow and contributed to the DIVaA I am today. To digest means to absorb something mentally; to think about something and come to understand or appreciate what it means. Thus, the second word in the title of this blog. It is my desire to take what God plants in my spirit and share with you, for you to “digest” as I will have done prior to putting word to paper. I pray that you will become nourished and grow from all that God will give to be shared through this medium. 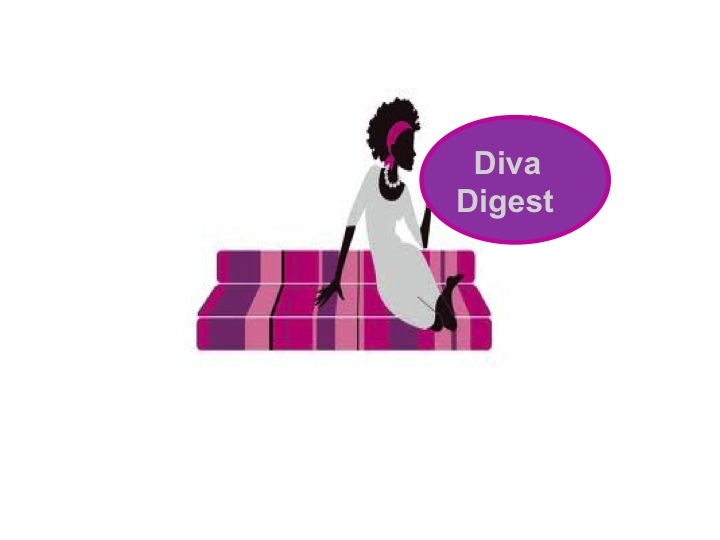 Coming soon….more from DIVaA Digest!